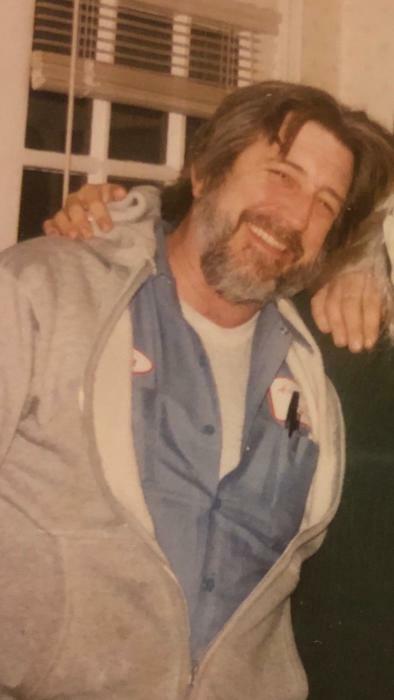 John A. Needham, 65, of Torrington, CTpassed away Wednesday, January 9th, at Bridgeport Hospital as a result of a house fire that also claimed the life of his beloved wife, Donna Bonazelli Burnham Needham. John was born in Hartford on December 26, 1953,son of the late Ernest and Olive(Vaine) Needham. He served in the US Air Force during the Vietnam War Era .He retired in 2018 from The Hurley Manufacturing Company in New Hartford, CT where he had worked for many years. He was involved with buying and selling antiques and was also known as "the scrap guy" in theTorrington area. Prior to moving to Torrington, he had been a volunteer at the House of Bread in Hartford along with his wife Donna and other family members. He is survived by sons Tony of Canton and Timothy of New Britain, granddaughter Emily, brothers Rollin Needham and his wife Linda of Bristol and Paul Needham of Winsted, and a special niece Erin Behrmann of Torrington and several other nieces and nephews. He was predeceased by a sister Carol Cassidy. Friends may call Friday Jan. 25, from 5:00 to 7:00 PM at Phalen Funeral Home in Torrington. In Lieu of flowers Memorial Contributions can be made to the House of Bread 1453 Main St Hartford CT 06120. on line memorials www.phalenfuneral.com.
. on line memorials www.phalenfuneral.com.